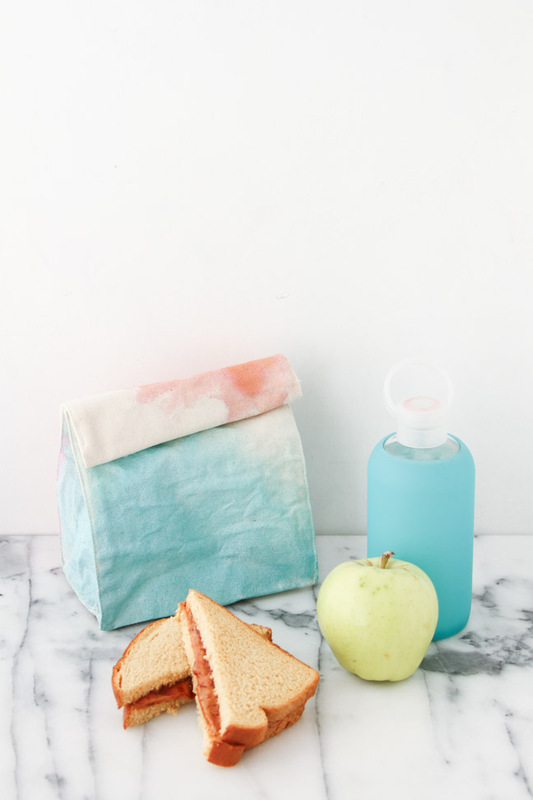 Using a basic canvas lunch bag, available on Amazon for less than $7, you can create these customized, colorful, and reusable DIY watercolor art lunch bags with your kids for back to school. The bright colors and abstract watercolor pattern are easy to replicate and leave plenty of room for kids’ imaginative design ideas. 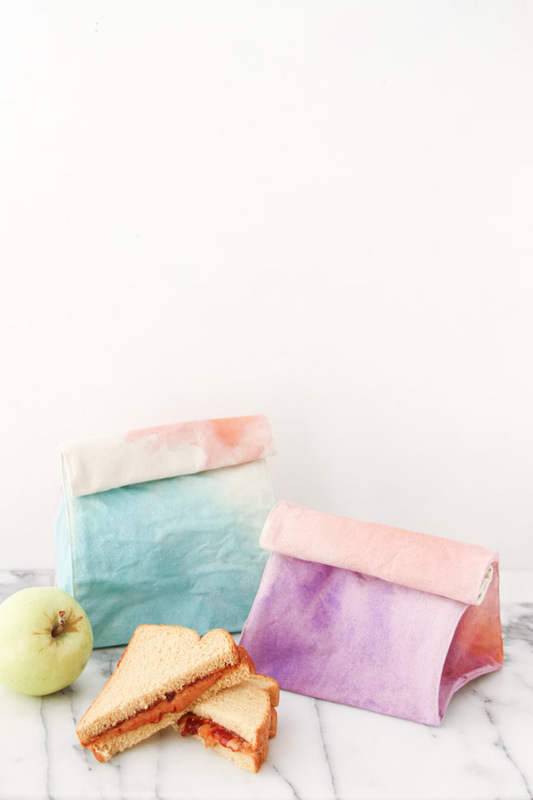 Plus, the whole painting process won’t take long to make and, because the paint will need to dry in between steps, there will be plenty of opportunities to take a snack (or play-time) break, if needed. 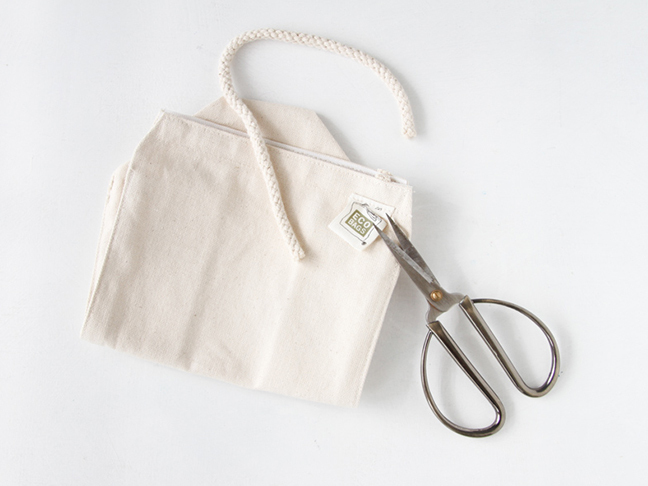 Step 1: Start by removing the wrist strap and tag with a pair of scissors. This step is optional, so if you’d prefer to leave the tag and wristlet attached, skip this step. 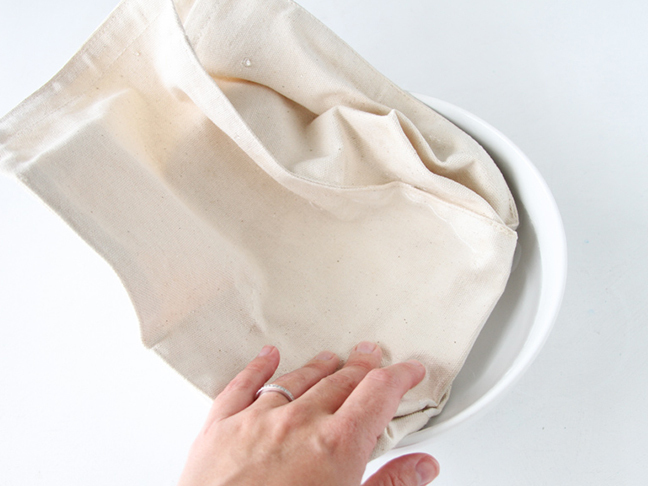 Step 2: Next, submerge the canvas bag into a bowl of water. You want the bag to be damp, not soaking wet. So be sure to wring out excess water if necessary. Step 3: Now it’s time for the fun part: painting. 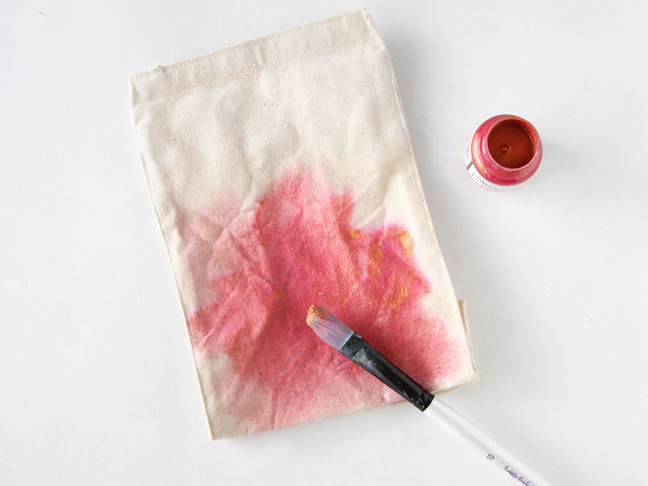 Begin painting one side of the bag with fabric paint in a random, abstract design. 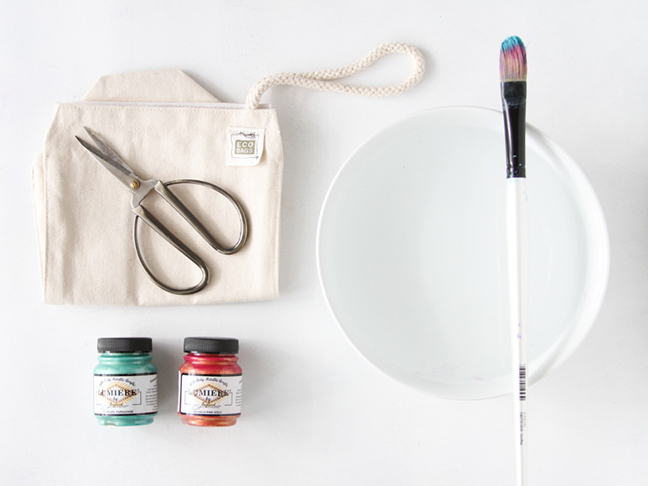 Step 4: Once you’ve started painting, begin adding water to your brush from the bowl that you used in step 2. This will spread the paint and cause some ares to be darker and some ares to be lighter, creating a watercolor effect quickly and easily. 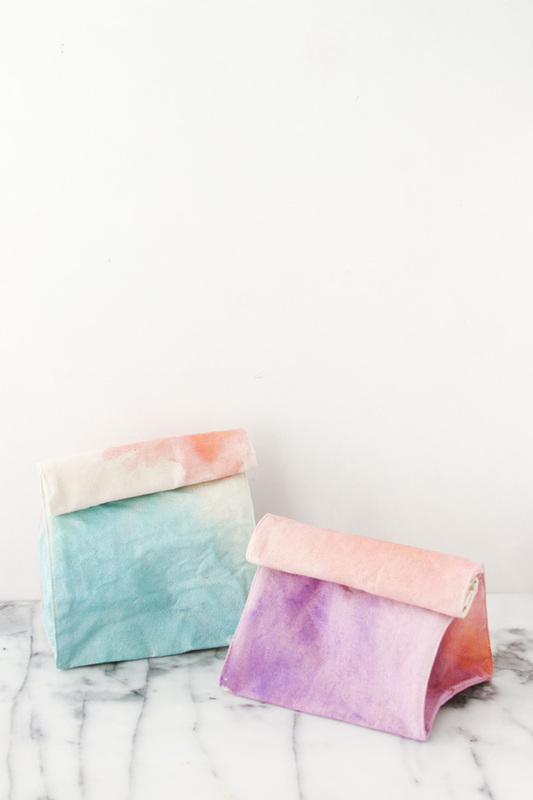 Note: I chose not to paint all the way up to the top of the lunch bag so that when it’s rolled over, once dry, you can see the variations in colors. 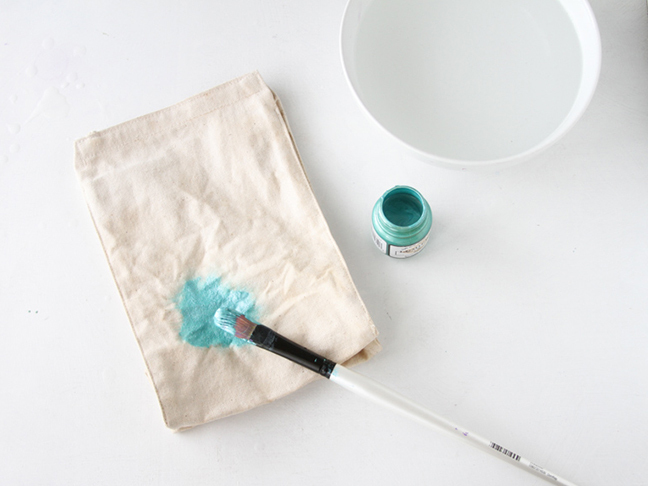 Step 5: Once the paint is dry, flip the bag over and paint the other side, in a new color, just as you did in steps 3 and 4. 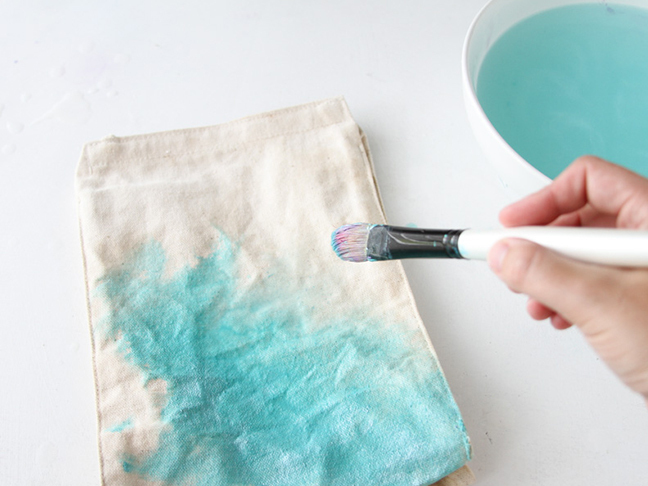 This is a good time to paint the sides of the bag as well. Wait for the paint to dry and it’s ready to use. 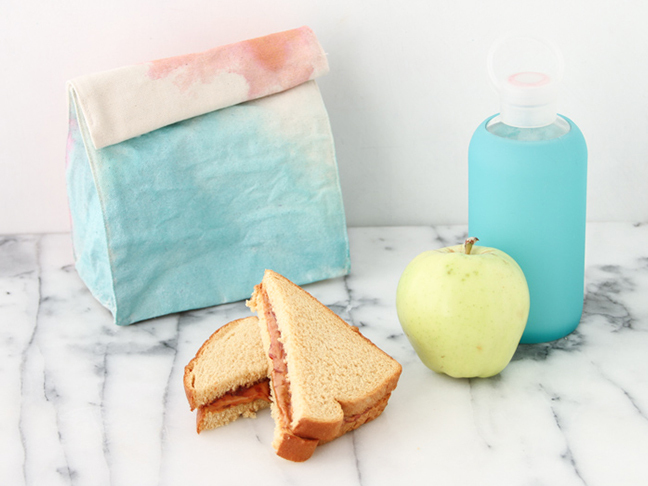 Now, your child will have a fun custom lunch bag to use for back to school. Bonus! They’ll never get their lunch mixed up with any of the other kids’ bags either.